It was a dream fulfilled, turning a small restaurant in Deptford, New Jersey into a destination for wedding parties, families, community groups and businesses. 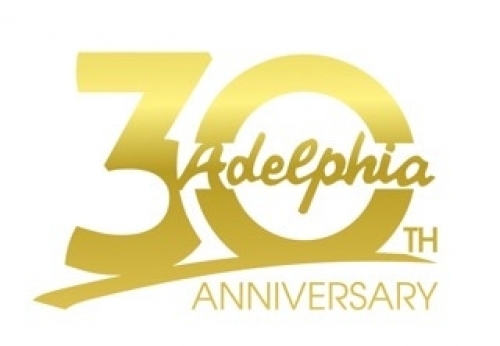 Adelphia Restaurant, under the watchful guidance of business partners Bill and Evelyn Balis, celebrated 30 years this past October as a community landmark, catering wedding receptions, bar mitzvahs, business meetings and community events. The facility at 1750 Clements B ridge Road (a mere 10 minutes from the Walt Whitman Bridge) has expanded beyond its 1987 roots, adding an events center and bar and a catering/banquet facility to its 7,000-square-foot restaurant. 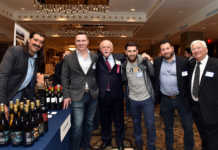 Adelphia now extends its hospitality to guests with its Athenian Grand Ballroom and Pan Athenian Conference Center, with a restaurant and bakery that’s open seven day a week. Thirty years ago, Balis hooked up with his father, John W. Balis, a chef; his uncle, Peter W. Balis , also a chef; and a cousin, John N. Balis, who was a baker. Together, they bought the restaurant. His father came to the United States in the late 1950s for a better opportunity. 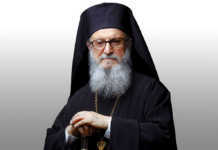 He and his mother come from Ketriki, a village near Nafpaktos in western Greece. “It was a tough life over there,” Balis said. His father worked in Delaware, learned how to cook, returned to Greece, and got married. A few years later, he came back to the United States, followed by his brothers and cousins. 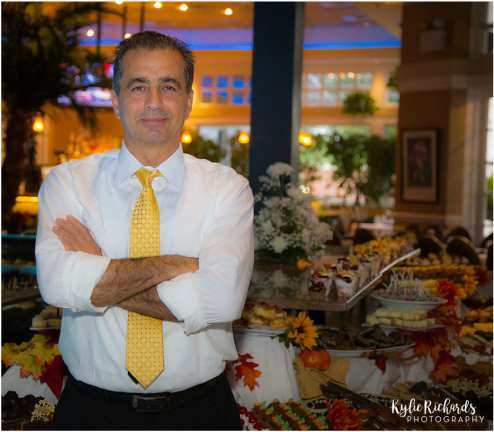 John Balis worked as a chef at Olga’s Diner in Camden, New Jersey, moved to Marlton when the diner opened a second location, then settled in Deptford when they bought Adelphia Restaurant. Bill Balis, born in Camden, New Jersey and raised in Cherry Hill, started working odd jobs when he was 13, as a busboy, dishwasher, short order cook, bartender, manager and as a DJ on the side. “So I’ve been in the business 40 years working in it,” he said. He jumped at the chance to join the Adelphia partnership. Evelyn, too, has grown up in the restaurant business. She has been a full partner at Adelphia for 10 years, since her father, Peter Balis, passed away. Like Bill, she started her restaurant work at age 13, helping at Adelphia in the kitchen, working as a cashier. “As the years have gone on, the place grew and responsibilities for me grew as well,” she said. Her heart is with the family business, but Evelyn Balis has also had success outside the restaurant, earning a master’s degree in biomedical science. It was the family that pulled together to make the dreams of John and Peter Balis a reality. 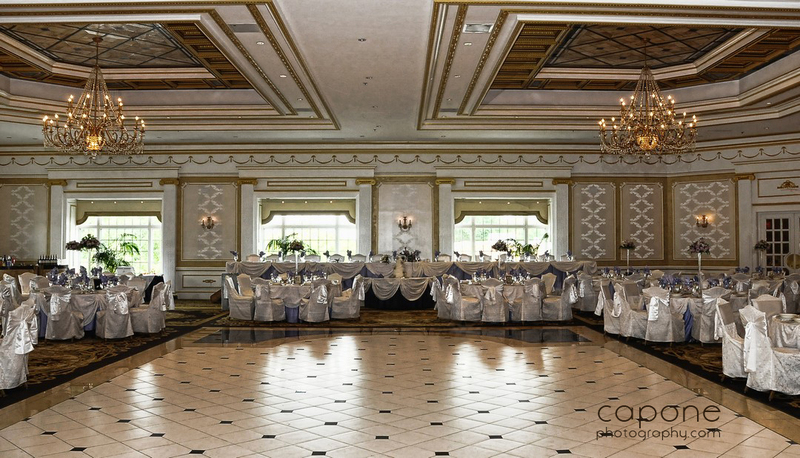 “My father had a dream that when we had the place, the three or four years that he worked here, that we should have a banquet hall,” said Bill Balis. The restaurant had been catering a lot of small parties so a banquet hall to cater larger events was a natural next step. About 17 or 18 years ago, the banquet hall was built. The bar and outside landscaped patio were added. Since that time, Bill Balis has lost his father, who died 26 years ago. They have also lost Cousin John who passed away 17 years ago and Uncle Peter, who died 10 years ago. Bill Balis has taken the lead in running the place along with Evelyn. 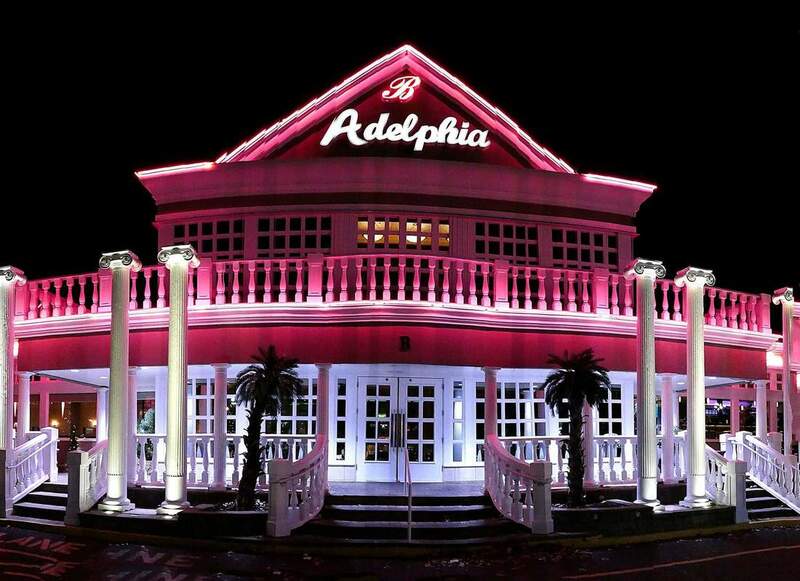 Adelphia opened its doors on Columbus Day in 1987. As a way to celebrate its 30th anniversary and to thank its customers, they handed out shirts and had a free food day Oct. 16 when guests could choose from five of the restaurant’s popular items. Anybody coming in could take out a Greek salad, avgolemono soup, chicken parmesan, cheeseburger and a gyro. They served about 2,000 guests. “That day was one of our busiest days but we didn’t make any money,” Balis said. “It was one way to say thank you to our loyal clientele.” There were other special events during anniversary week, including special singers in the club and a fundraiser for breast cancer awareness. Adelphia’s success would not be possible without the support of customers and the communities it serves. The partners have always made a point of giving back to the community in appreciation for their business. ”I feel I’m blessed. I’ve got to give back somehow,” he said. Adelphia donates a lot of food for church festivals. Evelyn Balis said they often provide Pastitsio for Greek festivals. “It’s tough for them to get those festivals going so they try to get a lot donated,” she said. 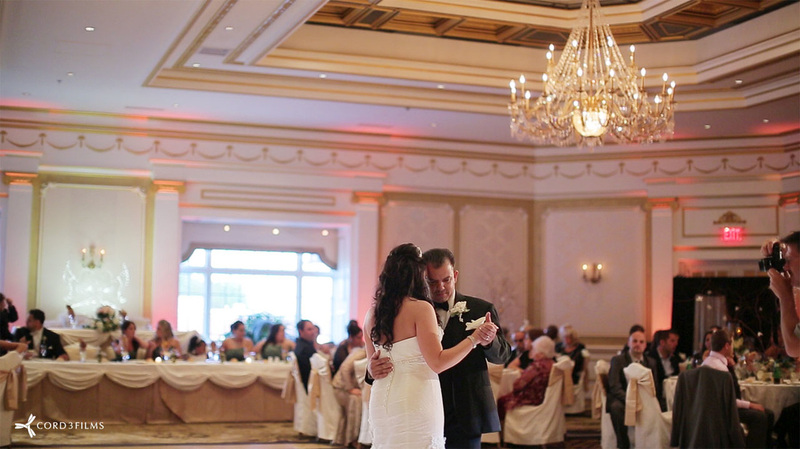 Adelphia has worked with St. Thomas Greek Orthodox Church in Cherry Hill, where Bill belongs, as well as St. George Church in Philadelphia. The restaurant just hosted St. Demetrios in Upper Darby as it celebrated its 75th anniversary. The Balis’ have also helped churches in Vineland and Wildwood. Last year, they were honored by the U.S. Marshals from New York, New Jersey, Pennsylvania and Delaware. This year, Bill was honored by the Blue Mass Society of Southern Jersey, an organization of First Responders and law enforcement—state troopers, local police and fire, ambulance, etc. For groups looking to fundraise, Adelphia will host events at a minimal cost. The restaurant also sponsors groups and activities, like Toys for Tots in Deptford. “This week we’re organizing to feed the homeless in and around our area. We do it the day before Thanksgiving,” he said. Bill Balis has served on the parish council of St. Thomas for 10 years and was a past chairman. 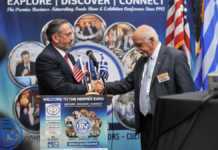 He also serves on the board of the Delaware Valley Purchasing Group and is a member of the Southern New Jersey Chamber of Commerce and the Gloucester County Chamber of Commerce. Competition has grown fierce since Adelphia opened 30 years ago. “We were one of three restaurants 30 years ago (in the area),” Bill Balis said. “Today, we’re one of 47 restaurants.” At one time, they were one of two catering halls. Now there are seven in the area. Survival comes, he said, from their ability to adapt to change. “We’re always adjusting, always adjusting our food, our clientele, keeping up with menu trends,” he said. They are always on the look out to stay ahead of the curve, keeping an eye on marketing trends. Shifting to social media has been a big part of adapting. Adelphia has a website (www.adelphiarestaurant.com) but also hosts a Facebook page, Twitter account and can be found on Instagram. “The young generation today lives off the phone. 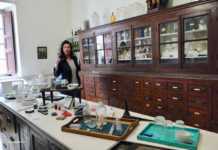 That’s one of the things adjusting as a business, how to get to them,” he said. “In this business you have to have a lot of intuition. You can’t learn a lot of this business in a book,” said Evelyn Balis. She agrees technology and social media are part of the mix to reach customers, working in tandem with word of mouth recommendations. “Our menu has a little bit of everything on it,” Bill Balis said. 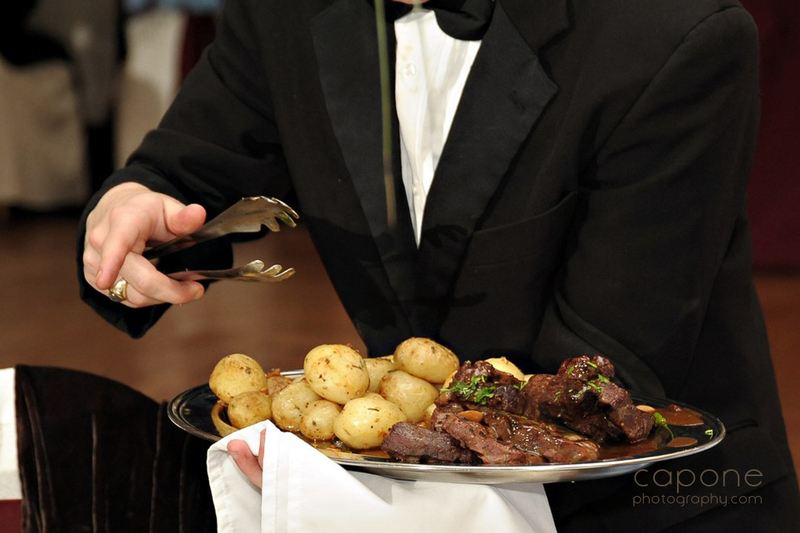 They will customize the menu for catered events, depending on the culture and tastes of the client. 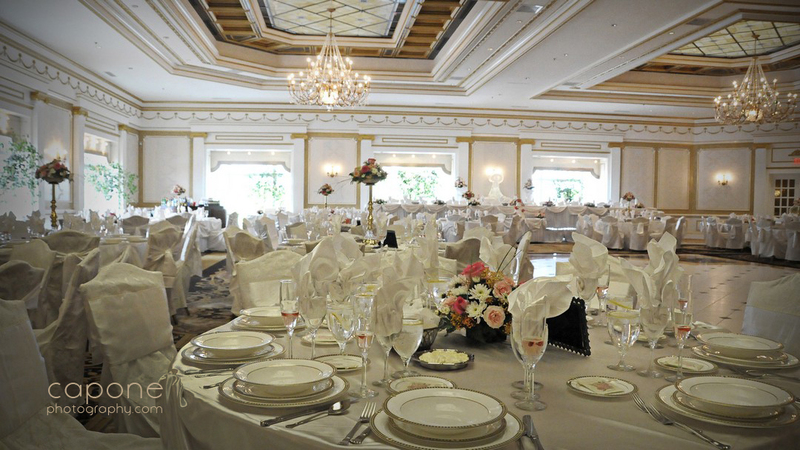 Style is important at Adelphia so in the Pan Athenian ballroom, guests are offered a Pan Athenian service, staying away from traditional plated food. Instead, servants will come out, each with a different part of the meal. “They bow to the head table, disperse and serve everybody and build your plates up at the table,” he said. Specialties include avgolemono soup, a Greek lemon chicken soup, created from a family recipe. Gyros and other Greek favorites are also available. The building design for Adelphia is a collaborative effort between the family and the architect. They opted for a Greek theme to honor their heritage. Extending out from the restaurant is an event area– dance floor, bar and outside patio, part of the night life available to visitors. The patio and event areas were refurbished last year. The events area features DJs, live radio broadcasts and dance parties. “Sometimes we have a band called ‘Sold Out.’ They do an excellent job,” Balis said. For a wedding or major event, parts of the events area, bar and outside patio can be closed off to use as a pre-function room or for a cocktail party. The restaurant can accommodate 300 people. The bar and the ballroom each have room for 500 people. The catering hall/conference center holds about 300. There’s a bridal suite available for weddings and a sales office where prospective clients can check out the items they may need for their event, from the table cloth colors to the type of china used. They can handle parties as small as 20 people to elaborate events with 500 people. “You know what I call this, a restaurant depot, like Home Depot. It’s a one-stop shop, you can do everything you want here,” he said. Adelphia is always evolving as the family explores new interior design ideas and plans new projects. Bill Balis is now looking at building a permanent cover for the patio to host events even when the weather isn’t cooperating. 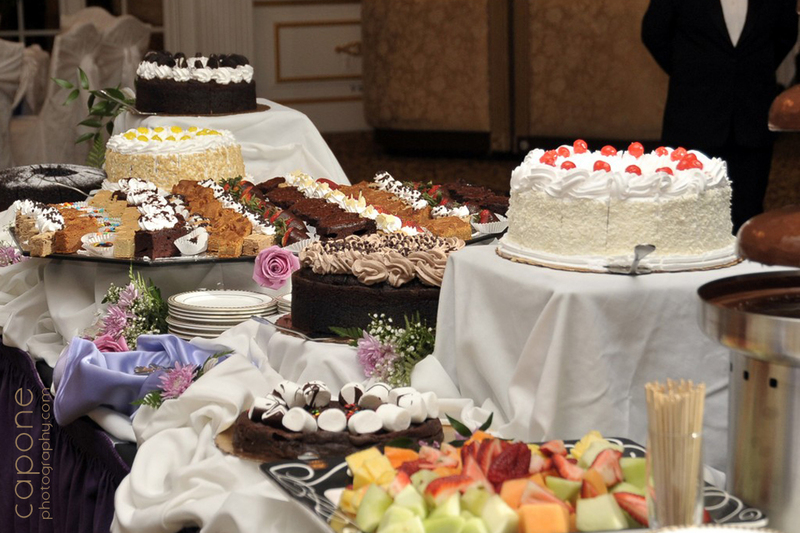 Adelphia also offers off-site catering, like the pre-Thanksgiving meal they offered a few weeks back to seniors. “Quality in the food is number one… taking pride in what you do, and standing behind what you do and the outcome, than I think customers will see that, whether it’s from a wedding, or an event at the bar or even a burger in the restaurant. They see you’re proud of that and you stand behind it,” Evelyn said.